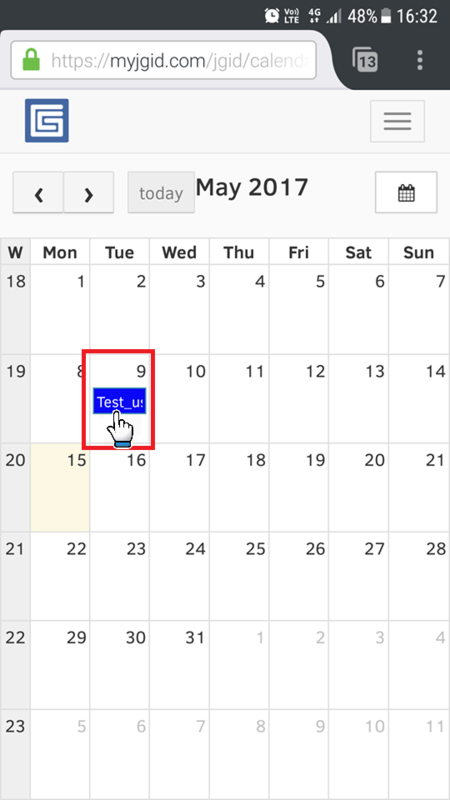 Once, you have logged into your user account, tap on the Calendar button, which will then take you to a preview panel of the Calendar (6 preview options available – see the footer below for Related Articles). Note, each employee will see only the jobs he or she has been allocated to. Locate the job you need to attend and tap on the corresponding color-coded bar. You can download the scope to your device for further offline reference by pressing the Download Scope button! 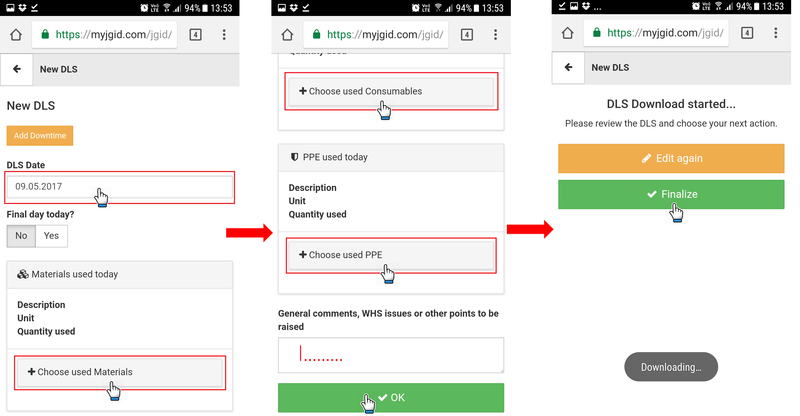 This button will preview the list of instruments, materials, consumable and PPE you need to make sure you have wtih you when going to the Job location. 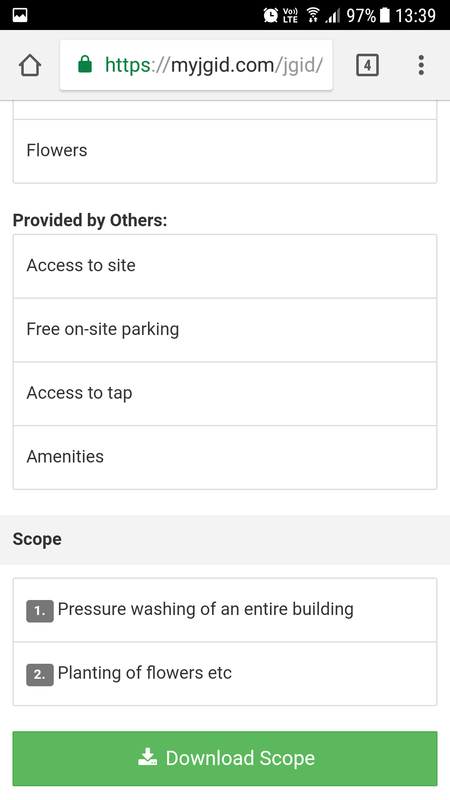 This picklist should be genrated and configured by the Quote Administrator, but should you find that something is required, yet not put on the picklist you should make a field note or notify your supervisor. This is a particularly useful feature, empowering you to provide instantaneous, real-time feedback to your teammates and managers in regards to anything that might affect the delivery of the service. Making a field note will allow you not only to text your team, but also to promptly access your device camera and attach a picture or video file that will be immediately accessible to everyone reviewing the job in real-time. 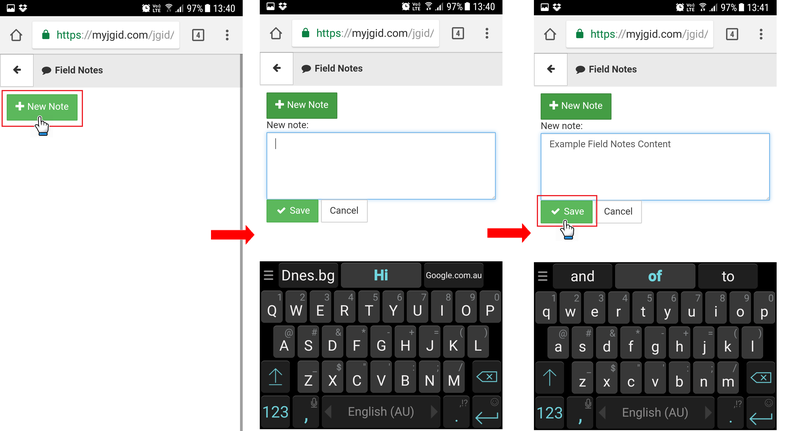 Note: You can also have a blank note, without entering any text, just clicking on the Save button to have the note entry created. This will allow you to quickly access the add file feature and attach a photo or a video file, sparing you the typing part. 2. Once the Field Note is created, you can attach a file, by pressing the relevant button. Make sure you have granted the browser the necessary permissions to secure the proper functioning of the “Add files” feature. 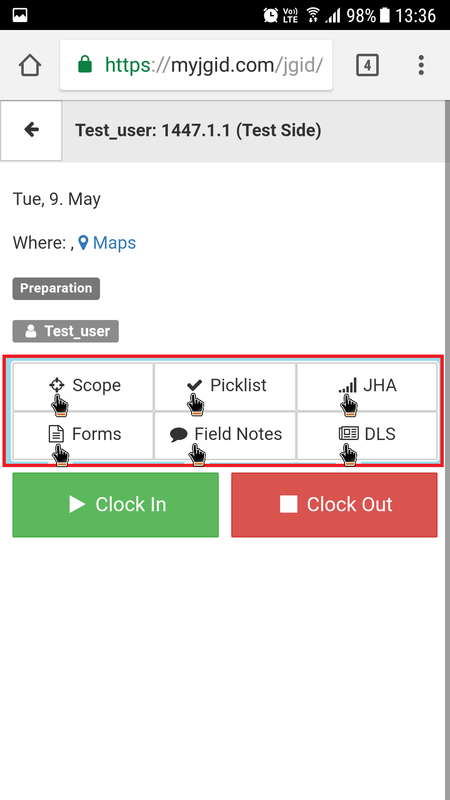 Disclaimer: Should you come across a potential health or safety hazard or risk, immediately inform your team-mates and supervisors using the fastest means available – either a phone call, text message, mms etc., or if relevant as per the specific situation – the JGID field notes feature. 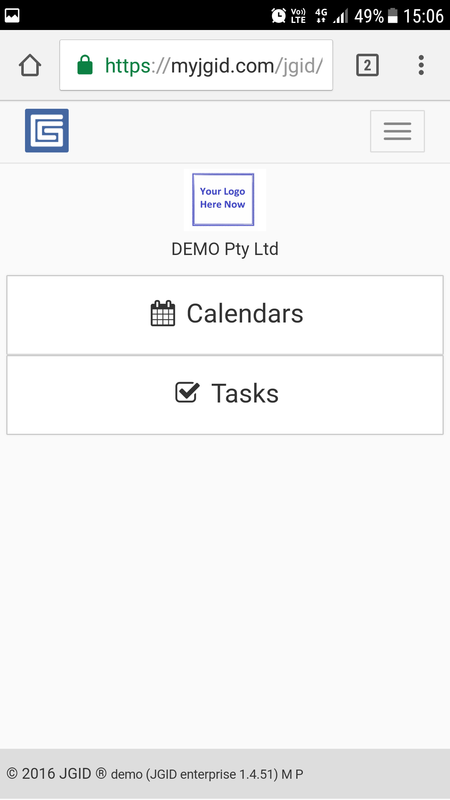 This button from the Job activity panel will trigger the creation of a Daily Labour Summary document or a DLS. 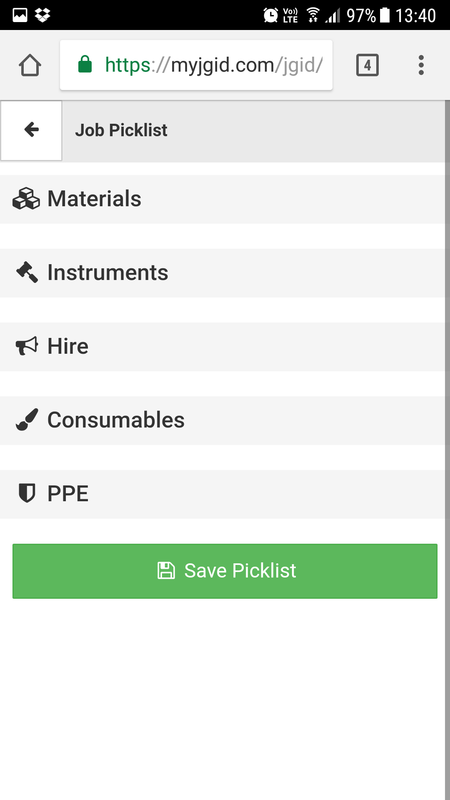 Unlike the Timesheet, the DLS contains comprehensive information, not only on the time spent performing a particular service from the Scope of Works list, but also delivers information on the quantity and type of Materials, Instruments, Consumables and PPE items used throughout the working day. The specific type of items referring to the above mentioned categories are prepopulated from the pricing section of the Quote. 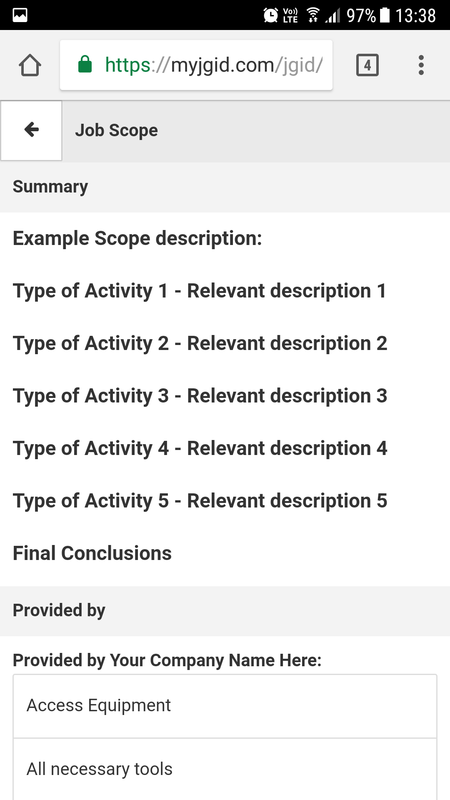 These materials are not accessible for selection from the Checklist or the Picklist and should have been quoted as separate items in the Quote, before they are available for selection in the DLS. Also, make sure you have created at least one Worksheet for a particular job, before you can add a DLS. The DLS is derived out of the Worksheet and can’t be generated without the formal creation of a Worksheet in the first place. 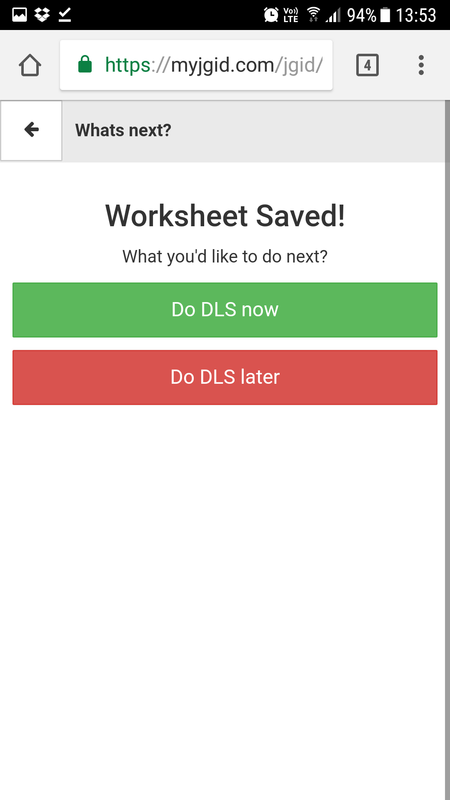 To create a DLS entry after the completion of the Worksheet, simply select the “Do DLS now” option after you have saved your Worksheet! You will be then taken to the quantity specification section. Select from a drop-down menu the relevant items in the adequate quantities utilized througout the working day. After you have made the relevant slections you can proceed to either Finalize the DLS or go back and Edit some of the figures, provided you deem it is necessary. A PDF document containing the unsigned DLS version is then downloaded to your device for a quick overloook and inspection. Once you have reviewed and approved the details in the document you can proceed to the signature gathering section. 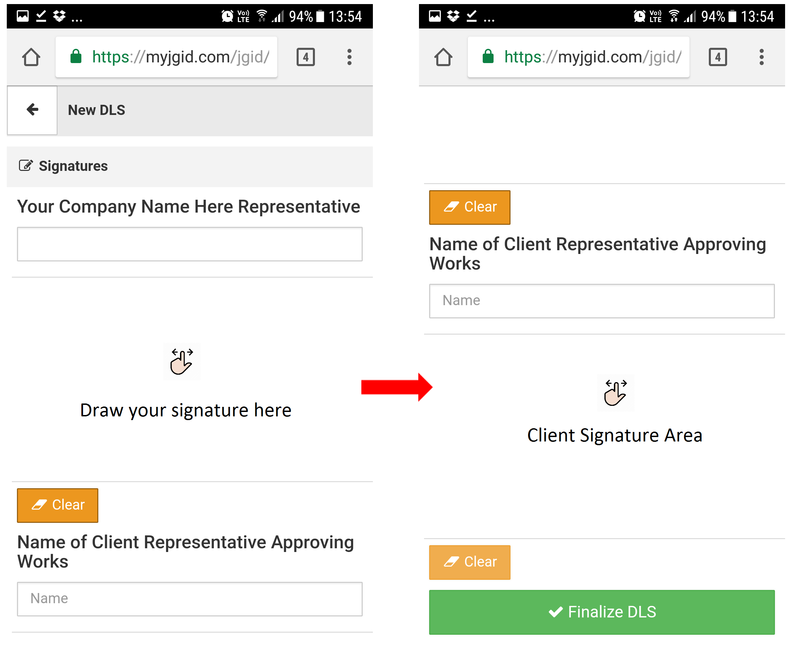 At this stage you and the Client, or a representative of the Client will need to sign the DLS. You can use either a smartphone pen/stylus or you index finger to draw your signature on the touch-screen as well enter your and the other party’s name and position. Once completed press the Finalize DLS button to push the signed copy into Dropbox folder of the Job.